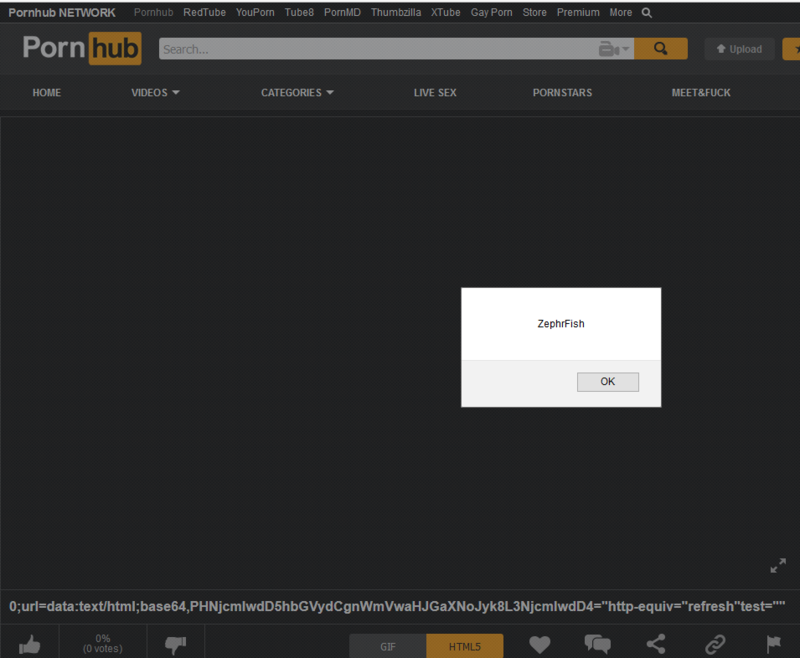 Following suit of stored cross site scripting vulnerabilities this post will talk about another issue I found in Pornhub. Unfortunately someone found before me and as a result this bug was a duplicate. However, this is my write-up of it and how it was possible, how it worked and the madness of it! Finding cross-site scripting vulnerabilities ain't easy and this finding was no different, as you'll see below the discovery method is pretty obscure and likely something people don't usually look for/at. The gif generation functionality is located at http://www.pornhub.com/gifgenerator warning this is likely NSFW. [You have been warned!]. For those of you who do not know, this is what the gif generation tool looks like, simply select a video URL and it will generate a GIF of that video. To find and create the exploit GIF I was able to do the following. Insert a random video into the create gif tool, then trap the request in burp suite or another proxy for manipulating requests. Enter any title, tags. Turn on intercept within proxy to catch the request before it gets sent to the server. By forwarding this back to the server, this should then save the image title as our payload. From here, when the GIF is visited the User's browser is directed to the data URI which is decoded to the output below and rendered in their browser.